July 16, 2015 today was a great day, for a lesson has been learned that will be important for years to come. My daughter Faith has been playing golf for three years now. Each year I observed that she made progress and her love for the game continues. Two years ago, I saw the Drive Chip and Putt at the Masters on TV. It consists of the best young golfers representing different parts of the US. I mentioned that to my daughter and she said she wanted to give it a try. We did and the first two years yielded tough lessons and heartbreak for her. She knew that she has a long way to go to achieve her goal. Last year we decided to change coaches. The objective was to find someone who could spend more time with her and help her develop her skills. We were introduced by Faith’s friend mom to Coach Jun Espiritu. He coaches at the PGA tour in Paramus. Faith started to improve because she is learning the logic of the game. The game is not about hitting the ball around the course, but rather understanding how to adjust and maneuver through the situation presented. Dealing with the situation and making it happen. 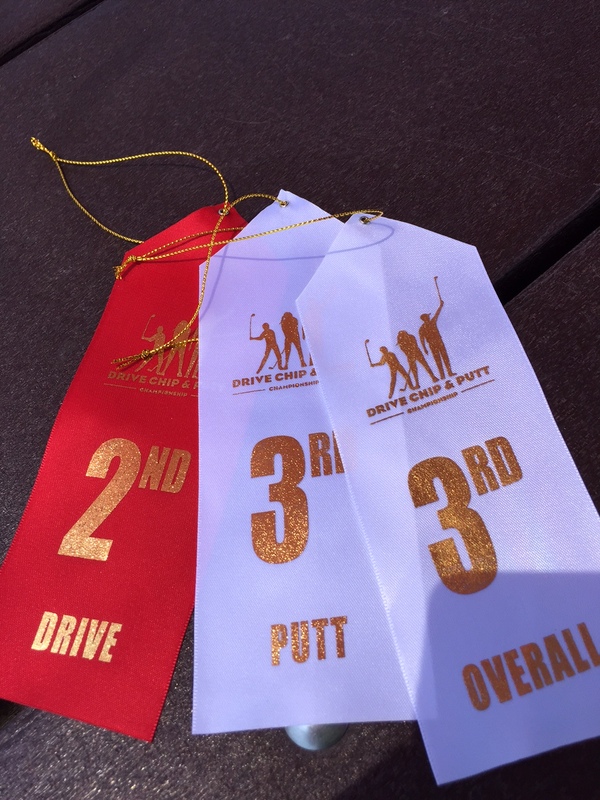 Faith has been preparing for the Drive, Chip and Putt for a couple of months now. This journey started when, right after last years’ event, we changed to a new coach and the transformation started this year. Early this year she made it a goal to make the next round. Last night she had a lesson with her coach. When I arrived from work, I asked her if her stuff was ready. She checked her stuff and realized that her glove was missing. We looked everywhere but could not find it. We look through her old stuff and found an old pair, thinking she could use it on Thursday. When we arrived at Galloping hills, we bought a bucket of balls and proceeded to warm up. After hitting about a dozen of shots, she complained her hand hurt. She took the glove off and there was a blister on one of her fingers. She said it was painful. I accompanied her to the club house to ask for a Band Aid and I decided to buy a new glove. She said the blister hurt and was bothering her. I thought to myself, all this work came down to a blister that could potentially ruin it for her. I told her to take a deep breath. I reminded her that she worked hard to get here that she needed to block it out and dig deep. To be successful, at times we must work through adversity to know ourselves and what we can be capable of. She said she would give it a try. One of her drives was over 200 yards. Three skill challenges later, she was moving on to the next round. She was so happy to place 3rd overall at the local qualifier. She was 2nd in Driving and 3rd in Putting. She learned a valuable lesson in dealing with adversity and learned that she is capable of achieving great things. Previous Do Not Do List – What is holding you back?